Before the summer season hits and the weather starts perking up, it is essential to check your home or business’ air conditioning unit. Not only do you want to make sure it is still running correctly before you turn it on for the year, but you also want to check specific areas of the unit before powering up as well. Here are some things that you should do before turning your AC unit on for the summer. Take a look at the filter – One thing we recommend before switching on your AC is to look at the air filter on your unit. If the filter itself is extremely dirty or damaged, it may need to be replaced. Inspecting this before turning your air conditioner on for the season can help to keep allergens out of your home or business’ air. Look at the drain lines – Something else you should do before the warmer months hit is to check your AC unit’s drain lines. The drain lines help to keep moisture away from the unit and can get clogged with debris, dirt, or dust throughout the year. A clog in one of your drain lines can mean that your system becomes backed up, which would cause a water leak and potential damage to the surrounding areas. 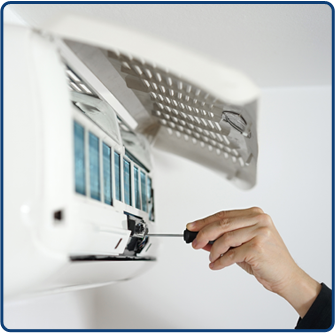 Looking for residential or commercial AC repair in Lakeland? We can help at All-Zone Heating & Air Conditioning of Polk County. Give us a call to set up an appointment with our experienced technicians today at (863) 410-0132.